Paul Andrew Philbert was born in London. It was as a singer that his musical abilities were first noticed, and on the advice of his preparatory school music teacher he auditioned for the Purcell School, a specialist music school, where, over the course of seven years, he studied piano, violin, clarinet and, albeit briefly, trumpet and trombone. At the age of 15, having never really settled with any of these instruments, he took up timpani and percussion. He has never looked back. He continued his studies at Trinity College of Music, London, taking a one year break to assume the responsibilities of President of the College Students' Union. Having completed his postgraduate studies he began working as a freelance musician in the UK and abroad. He has performed with many professional orchestras including the BBC Philharmonic, Orchestra of the Royal Opera House Covent Garden, the Philharmonia, BBC Symphony, Seoul Philharmonic, the Hallé, Royal Philharmonic and Bournemouth Symphony to name but a few. 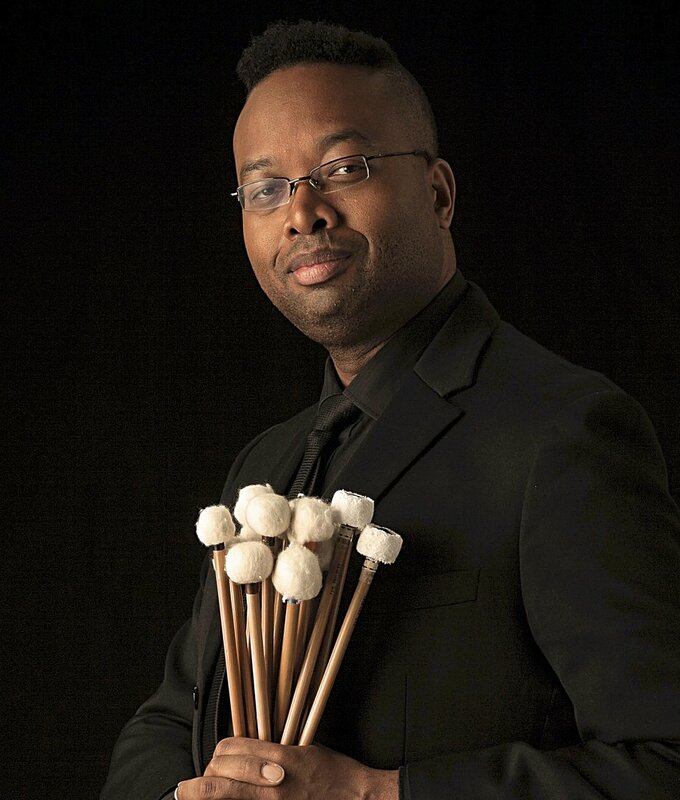 Music has taken him to the USA, Germany, Austria, Slovenia, Spain, Italy, Norway, Bulgaria and New Zealand before he accepted the position of founding Section Principal Timpani with the then newly formed Malaysian Philharmonic Orchestra (MPO) in Kuala Lumpur. During his time in Malaysia, Paul has conducted masterclasses, and workshops, and toured Singapore, Japan, Korea, China, Taiwan, Australia, Sabah, Sarawak and Peninsular Malaysia with the orchestra. Since his departure from the MPO in 2012, Paul has continued to perform in both Asia, and Europe and toured the USA and South America before taking up his current chair as Principal Timpanist with the Orchestra of Opera North UK. Having served with Opera North for almost three years, Paul is due to move to Glasgow in April 2018 where he will become the new Section Principal Timpanist with the Royal Scottish National Orchestra. My musical inclination was first spotted by my music teacher, Mr Simpson; a softly spoken Welshman who seemed to be able to play every musical instrument in existence. Both he, and the headmistress Mrs Pilgrim spoke to my mother, and between the three of them my musical education was set in motion. I was fortunate enough to secure a place at the prestigious Purcell School of Music which offered me a truly comprehensive education with a strong emphasis on music, whilst giving me sufficient space to find my instrument of choice (this took a while), and to enjoy my time as a pupil. From Purcell, I spent four years as an undergraduate at Trinity College of Music. It was during this time that I undertook my first professional engagement as a musician. I worked hard at Trinity. I had two fabulous Professors in John Chimes, and Kevin Nutty who challenged us, and inspired us in ways that were previously unimaginable to me. Notwithstanding this, I do remember at some point, early in my time in Malaysia, wishing that I had worked EVEN harder at college. Notwithstanding that, as I write this, I'm struck by a simple sentence..
"Don't be afraid, enjoy the journey". My first inclination of Chineke! was from an email, sent by Chi-chi Nwanoku in early March 2015, inviting me to a meeting to discuss "a new initiative". The meeting was very interesting, and the gathering in the foyer of the Royal Festival Hall after the meeting was truly informative. It was my first glimpse into the side of classical music that has never been a part of the established curriculum in this country. I was firmly committed to the project from that very first day. If my position has changed, it could only be that my belief in the importance of the Chineke! Foundation has multiplied since that inaugural meeting. I've been a professional musician for more than two decades now, and I believe that things have changed, and are continuing to change. I have not encountered any significant discrimination face-to-face. Notwithstanding this, I have always conducted myself with the acknowledgement that decisions could have been made about me as a direct result of my ethnicity. There is much in the way of policy that could be introduced in order to create a more transparent selection process, but I am fortunate enough to have been employed almost continuously since leaving music college. There have been several musical milestones in my career thus far. In very recent times I'd have to say that being offered the Principal Timpani position with the Royal Scottish National Orchestra is currently number one! Looking further back, being a part of Wagner's magnificent Ring Cycle that Opera North staged (six times..!!..) in 2016 was a life-changing musical journey. Further back still, performing Wozzeck and Mahler 9 in America, and Sibelius 2 & 5 in Asia with the Philharmonia will stay with me forever. And finally (for this list), performing Siegfried Matthus's timpani concerto "Der Wald" back in 2006, completely transformed my paradigm, and approach to performance. These were all significant, but there are MANY more! The atmosphere within Chineke! has an entirely unique, and very precious warmth. To be in this environment has inspired a heightened sense of joy, and appreciation for music, and music-making that I carry everywhere I go. I am forever changed! Work HARD, and GO FOR IT! Whatever your goal, there is no obstacle that is insurmountable you just have to find your own way.